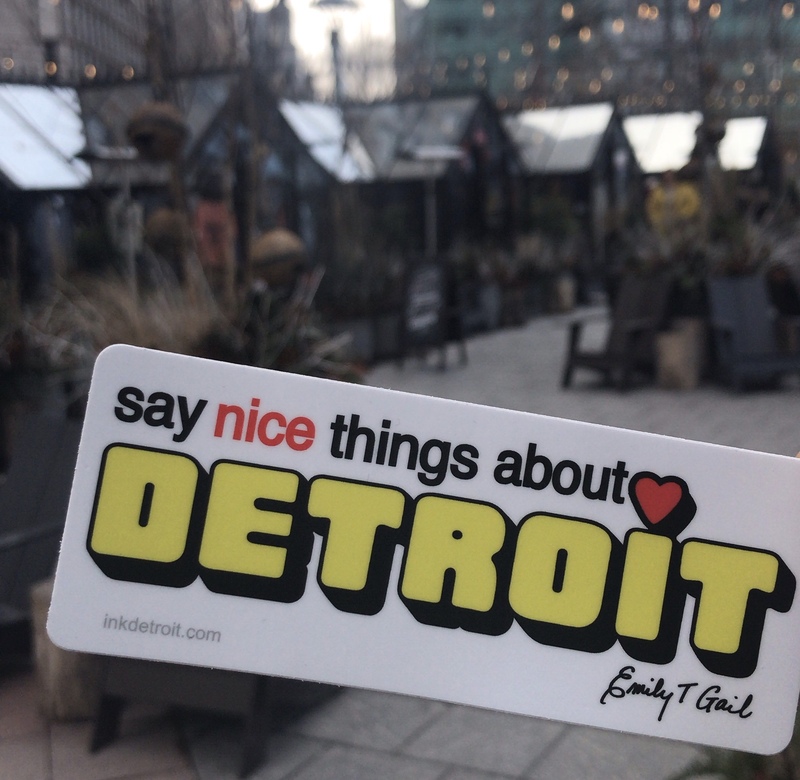 Challenge Detroit – What Facts Have You Heard About Detroit? What Facts Have You Heard About Detroit? This summer, in preparation for my year as a Challenge Detroit fellow, I thought it’d be helpful to read a book or two about the city that I had only visited a handful of times and had now moved to. As I skimmed through the selection at the library, I found one written by a guy who also wrote for Rolling Stone, which I decided was the best chance for an entertaining yet informative read – and it was. I learned about the city’s history, its race issues spanning many years, and Coney Islands. I was now informed of the neighborhoods, the mayors, and a handful of interesting facts. I knew I had more to learn, but I felt satisfied with my knowledge come orientation week. On the third day of orientation, while we were on a bus tour with Detroit Experience Factory, one of my newfound tidbits came up when the tour guide asked if anyone had heard about how large the city is compared to others. Thanks to my book, I knew that Detroit was huuuge by square miles and you could fit Boston, Manhattan AND San Francisco in the size of Detroit. My reading had paid off! Until the tour guide shared that Detroit is a perfectly average size city and Boston, Manhattan, and San Francisco are minuscule, which is why the statistic works. I was baffled. I was also annoyed at my book. While the statistic wasn’t untrue, I felt like it used outliers to make something that was both fact and faux. Later on the tour, something else from the book came up: Until Whole Foods built its Midtown location in 2013, Detroit had no major grocery stores. Zero? Think of the food desert! Except, there were smaller markets all over the city and Eastern Market, the largest historic public market district in the United States. There just weren’t major chains. After I read up on Detroit, the next book on my list happened to be Factfulness: Ten Reasons We’re Wrong About the World – and Why Things Are Better Than We Think, which uses data to show that many things aren’t as bad as we perceive them to be and shares some of the ways that statistics and data aren’t immune to biases. I’m not saying that Detroit doesn’t have economic, health, and safety issues – it does. But, next time you hear something disheartening about the city, or any city, it’s worth asking questions, doing the work to get the full picture beyond a sensationalized tidbit, and thinking about where biases play a role.